i have been a regular american idol viewer since star world started showing it, which was the year carrie underwood won. ever since, i would watch every season and root for my "manoks." this season is one of the most exciting finales. i haven't anticipated a finale this much since the two davids—and i was so happy my david won: cookie! it's how funny how we filipinos find such a kinship in foreigners who do well who have even just a trace of filipino blood. jessica sanchez looks very filipino, but happens to be half-mexican (on her dad's side). but the fact is, jessica is an american. i'm looking forward to today's finale because i am a fan of the top 2 performers. i liked both of them from the very start. they are both deserving of the title of american idol. so whoever wins, i'm happy. but of course i can't help it—i'm rooting for jessica! why? because i'm a filipino! however, i found last night's finale performance a bit... lackluster. maybe it has to do with the fact that jessica and phillip don't have larger-than-life personalities. while performing, they command that stage, they both have such presence, and they certainly give it their all. but once the music stops, i find them both to be quite reserved. jessica is polite and smiley, while phillip is an aww-shucks kinda guy. maybe it was also the performances. with the only two left, with three songs to sing, and having just come from a hectic hometown visit, i thought neither was at the top of their game. jessica's voice was straining, especially when it came to the belt-out portions. i've heard her sing "the prayer" so much better before. and the first time she sang whitney, wow!! i got the goosies!! but not last night. and that song composed for her—ugh!! very commercial, very shallow, very baduy, written with top 10 in mind, maybe patterned after miley or taylor, and made to appeal to that market. so disappointing. and i think jessica should enunciate better—when we hear the words for the first time, we had better understand them. 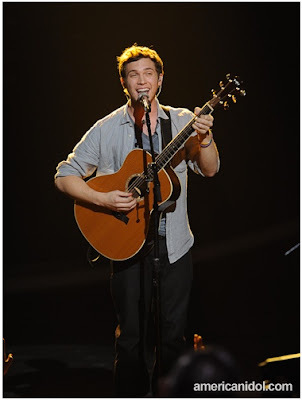 as for phillip phillips, i think he gave up a long time ago. although he's got a unique voice and a great style of singing, he always seems to be coasting, making no effort to impress anyone, or to even change his clothes, forchrissake! but ok maybe that's the appeal. but his first two performances last night were... meh. i thought it was forced, the way he changed them up. what saved him was the song written for him—so much better than jessica's! it was a perfect fit for him, great arrangement, it had a simon & garfunkel vibe, which was just so appealing. so who will win tonight? er, this morning because it should be starting right about now! good luck, jessica and phillip! jessica FTW!! !